BC Freshwater Legacy Initiative. (2019 -present). Mid-project formative and summative evaluation. Development of evaluation framework (logic model, indicators, methods). KW Multicultural Centre. (2018-present). Process and outcome evaluation of the Let’s Talk intervention for newcomer youth. Family Services Ontario. (2018-present) Managing FSO Demo Project, coordinating psychotherapy outcome measurement across 31 agencies. Analysis, results, and reporting. Start Me Up Niagara. (2018-present) Process and outcome evaluation of the enhanced entrepreneurship and self-employment training for people living with disabilities. Real Estate Foundation of British Columbia (2018-present). Supporting impact assessment work. Designed stakeholder engagement methods, data collection tools, and report templates. Analysis and reporting on impacts from funded projects. OMAFRA-University of Guelph Partnership: KTT Funding Program Summary Insights and Next Steps (2017-2018). Identified impacts and leading practices from a decade of funded projects within the KTT program. Worked with Good Food Brampton and Catholic Family Services Peel Dufferin on a process and outcome evaluation of the Culinary Training for Youth intervention, funded by Ontario’s Local Poverty Reduction Fund. Worked with Bridges of Kawartha Lakes, a hub serving women who have experienced violence or abuse, on an evaluation of the first year of hub operations. Performance measurement strategy and training to the Agriculture and Agri-Food Canada Knowledge and Technology Transfer Office. Worked with the Ontario Arts Council to develop a logic model and performance measures. 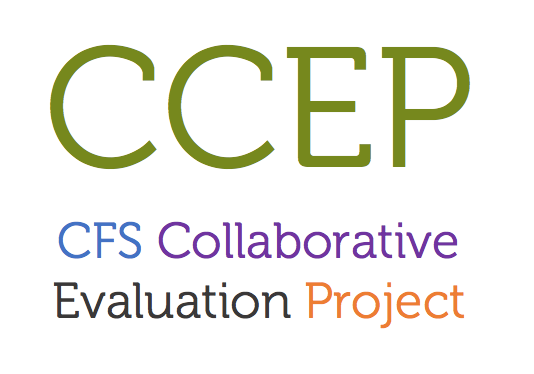 Harmonized evaluation approaches and building capacity in the CFS Collaborative Evaluation Project (CCEP), a collaboration between 5 Catholic Family Service Agencies: CFS Peel Dufferin, CFS Toronto, CFS Simcoe County, CFS Durham, and CCS York Region. Helped Ontario Collaborative Response to Family Violence to create a framework for shared process and outcome evaluation. This project worked towards consensus on how best to evaluate co-located, collaborative, multidisciplinary team service hubs for victims of domestic violence and abuse. OCRFV Evaluation Framework. Worked with Family Transition Place to create and implement a framework to evaluate the processes and outcomes of their shelter, and counselling, and youth education services. Worked with Canadian Water Network, Canada’s premier water research management organization, to evaluate the outcomes and impact of their research projects. Co-instructor and developer for the Certificate in Knowledge Mobilization at the Community Engaged Scholarship Institute, University of Guelph. Member of the Knowledge Mobilization Steering Committee to the Canadian Partnership Against Cancer. Worked with KT Alberta to build a community of practice strategy and communications plan. Created website and social media strategy for the Centre for Sustainable Food Systems at Laurier University. Developed tools to help problem gambling researchers with knowledge translation and exchange (KTE) via social media, plain language, and data visualization. Bergen, A. (2019). The Next Generation of KTT: A Discussion of Best Practices in Agri-food KTT. Keynote presentation to Growing Agri-food KTT in Ontario, hosted by the University of Guelph and OMAFRA. Bergen, A. (2019). Advancing Implementation Science in Alberta (AISA 2.0). Event facilitator. Event hosted by Alberta SPOR SUPPORT KT Platform. Bergen, A. (2018). Supporting Implementation Through Engaged Evaluation. Presentation to Knowledge Translation for Disability and Rehabilitation Research (KTDRR)’s 2018 conference. Bergen, A. (2018). Advancing Implementation Science in Alberta. Event facilitator. Event hosted by KT Alberta. Bergen, A. (2018). Core concepts in KTT. Presentation to Agriculture and Agrifood Canada’s Science and Technology Branch. Bergen, A. (2018). Mapping service effectiveness across agencies: working together on process and outcome evaluation. Workshop at the FSO Conference, Toronto, ON. Bergen, A. & Garwood, K. (2018) Plain language writing for maximum impact. University of Guelph Writers Workshop. February 2015, 2016, 2018. Bergen, A. (2017). Intro to KT Evaluation. [Webinar]. Part of META Workshop series hosted by Alberta SPOR SUPPORT Unit KT Platform. Bergen, A. (2017). Creating a logic model; KT Evaluation: Indicators and methods. [Workshops]. Part of META Workshop series hosted by Alberta SPOR SUPPORT Unit KT Platform. Bergen, A. & Duvieusart-Dery, C. (2017). Knowledge outreach webinar. Webinar prepared for CIFAR Global Scholars program. Bergen, A. (2017). Describing your value and defining your needs [workshop]. First Session of the MaRS Centre for Impact Investing Community Hub Accelerator 2017. Bergen, A., Duvieusart-Dery, C., & Sztainert, T. (2017). Practicing what we preach: Let’s get better at teaching KMb (Open Space). Discussion at the Canadian Knowledge Mobilization Forum. Ottawa-Gatineau. Social Media & Research Unconference: What works? What’s next? (2017). Unconference at the Canadian Knowledge Mobilization Forum. Ottawa-Gatineau, ON. Bergen, A. (2017). Knowledge mobilization and immobilization. Graduate research day workshop. Wilfrid Laurier University. Bergen, A., and Shantz, E. (2016). Evaluating research impact: From a specific case to general guidelines. Workshop presentation to the Canadian Knowledge Mobilization Forum. Toronto, ON. Focus group facilitation – UTOPIAN Data Safe Haven Stakeholder Consultation Project. Fall 2015 – Winter 2016. University of Toronto. Consultations with health care providers, researchers, regulators, and patients about sharing electronic medical records for health research. Sessions on “So you have a KMb Job – Now What?” (KMb career panel) & “We’re mobilizing knowledge but so what?” (KMb evaluation training) at the Knowledge Mobilization Summer Institute, August 17-19 2015 at the University of Guelph. Evaluating KTE activities. February 2015 full day workshop for the Gambling Research Exchange Ontario‘s KTE Student Workshop Series.